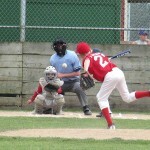 The catcher is the “quarterback” and field general of the team, and is the basis of a good team defense. He must be the take-charge player that directs the team when it is on defense. 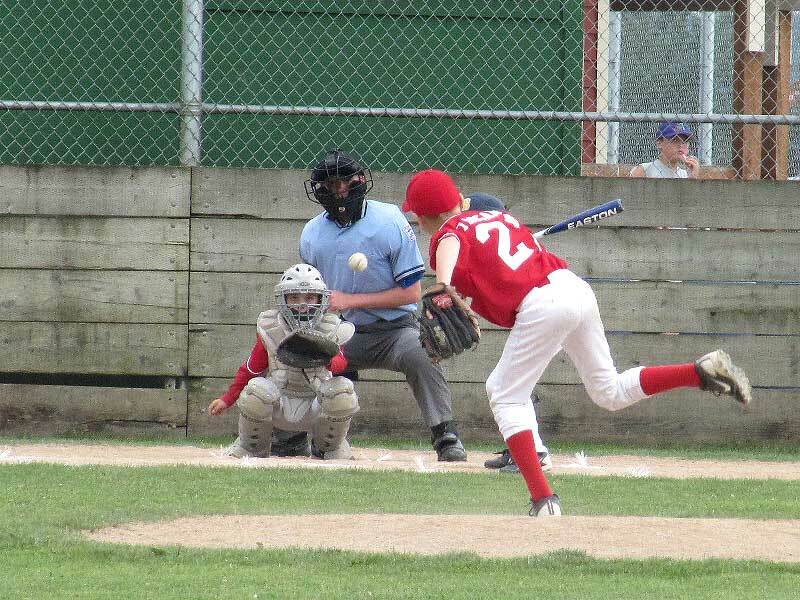 As he is the only player facing the field of play and out of play(in foul territory), the catcher has the best view and can see ALL the action from his basic position. Moreover, the catcher is the key to a “strong up the middle” defense…the catcher, pitcher, second base man, shortstop, and centerfielder. He must direct infield play, call cut-offs, be positive and instill confidence! The catcher has many important tasks “behind the plate”: handling pitchers, setting up hitters, keeping runners “honest”, aligning defenses, calling the plays, being aggressive and tough, and inspiring the team to hustle and focus on the game. He should be skilled, clever, out going, and mentally tough. The catcher IS the LEADER on the playing field!! The physical requirements of the catcher are very demanding. The catcher is the coach on the diamond and arguably has the second most physically and mentally challenging position to play. It requires physical strength and durability, focus, agility/quickness, and a “rifle”—a very strong and accurate throwing arm with a quick release. 1. Strong arm: short “flight time” 2. Quick reflexes: catch and block, quick release of the ball. 3. Get the ball accurately/quickly to the bases 4. Ability to see, catch, and block the ball on EVERY play. Must catch ALL throws, especially those in the dirt. 5. Mental acuity: signal/sign for the pitcher, direct infield plays, learn batter weaknesses, direct and control pitchers, develop a positive relationship with the umpire. 6. BALANCE: In the stance/crouch, on the throws, fielding bunts and pop ups. 7. Physical toughness: block the plate and take the “hit”. The basics of catching are the same as the other positions. The catcher must practice each day in order to catch EVERY ball and alleviate fears. Repetitions are the key to success for any baseball defensive position or situation. 1. Keep eyes on the ball and pick it up as soon as possible (vision drills). 2. BOTH hands must be ready with arms relaxed and extended. 3. Bend elbows to absorb shock. 4. Watch the ball INTO the glove and squeeze it. 5. After the catch, grip the ball and throw overhand. NOTE: Catch all you can!! Batting practice, bullpens, watching TV, warm-ups!! The catcher is more “geared up” than any other position. The equipment is called the “tools of ignorance” BUT, the catcher must be the smartest and sharpest of all the defensive players. STANCE: Right foot even with the instep of the left foot with toes pointed out slightly; low and wide in the crouch and square to the pitcher. Fanny below knees. KEY: BALANCE and see ball out front. RECEIVING PITCHES: Stay low in a relaxed position with arms extended and elbows bent(outside knees); thighs parallel to the ground; mitt hand with thumb UP: bare(“meat”) hand behind back with no one on and behind mitt with runners on. Good clear target with mitt arm out(“banana” angle). Glove drop or squeeze hand before catch to relax arm. THROWING: Grip across seams, throw off the right foot with left foot pointing to the target; catch ball and bring glove TO hand. Throw the ball back to the pitcher firmly. BLOCKING BALLS: When the ball hits the dirt, drop to your knees, head down, and turn mitt(fingers down) to the ground(like a pitch fork); bare hand behind the mitt, mitt covering the open space between legs; lean the body forward, with shoulders square, and absorb the ball with the chest protector(round/concave-it becomes your mitt), arms against your sides, and relax your chest. Shoulders should be hunched with chin down. Let the ball hit you. You are a “human wall” and must get in FRONT of ALL balls: DO NOT REACH!! Step up on left side and pick up the ball quickly. FRAMING: “Frame” the strike zone…bring ALL balls in to it. The receiving hand MUST always curl slightly towards the strike zone. “Stick” a strike! SIGNALS/SIGNS: Right hand inside the thigh, elbow against the body. The mitt hand with arm resting on the upper thigh, mitt blocking view of signs, knees slightly turned in. Mix signals and use indicators with men on. Keep the pitcher informed: runners on/where, number of outs, remind him to cover, especially first. Remind Team: Outs, defensive play being called, move fielders. Know wind direction/speed, sun location, field conditions, strength/weaknesses of the pitcher. TAKE CHARGE! BE THE MAN!! Give the pitcher a good, “clean” target. Adjust it to his pitching. Call cut offs loud and clear. Back up first if bases unoccupied. Field the bunt with the mitt in front of the ball, push the ball into the ground with both eyes on the ball, step inside the diamond to avoid hitting the runner. Pop ups: Find the ball, turn back to the field, hold the mask until you find the ball, throw the mask AWAY from the play, mitt above your head, relax, and use BOTH hands to catch the ball. Control the pitcher and the game!!! Create a positive and friendly relationship with the umpire. Keep your spacing: try to be “under” the batter’s back arm. Do not reach for the ball!! TIP: For a ball that bounces 10 feet or so in front of the plate, do NOT drop to block. Stay low and “read” the bounce and either catch it up or block with the body. Practice, bull pens, and play catch with your “tools” on. BE A CATCHER!! This entry was posted in Catcher on March 8, 2013 by admin.